Businesses in Mystic are already hiring for the busy summer tourist season. Cities and towns along the southeastern shoreline are gearing up for the busy tourism season including Mystic, where businesses are already hiring to take on the seasonal crowds. 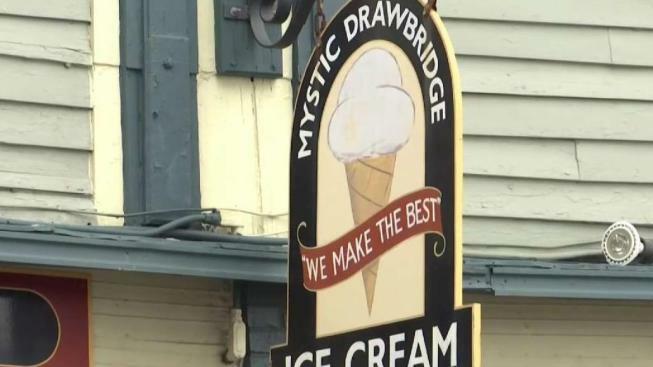 For many, there’s nothing like cooling down with Mystic Drawbridge Ice Cream on a hot summer day. It’s all made in-house. “There’s a line out the door pretty much all the time,” Manager Colin Desmarais said. Desmarais is looking to build his staff from just a handful of people in the off-season to ideally around 50 people for the summer season. Some are already committed to coming back this year. Desmarais said he also hires teens who might be looking to earn some extra cash for the summer. “This year we have a pretty good base and we’ll probably be hiring for the next two months or three months before the summer really kicks off,” he said. “We definitely need people. We’ve had some really good applicants and we’re training some girls right now,” said Bridget Johnson, who works at Rochelle’s. The boutique sits a little further down Main Street. Johnson said they’ll likely double staff for the summer for their four locations, two of which are in Mystic. It’s only their second summer at the Main Street shop. Argia Mystic Cruises already made their hires to help with schooner rides on the Mystic River. “There’s a lot of tall ship people that are hiring so we try to get ahead of the game,” said office manager Jessica Gomes. Mystic Aquarium hosted a career fair Thursday to help fill at least 70 seasonal positions. “As opposed to just going online, filling out the application and reading the description there, you can ask (staff) personalized questions. You can find out if it’s going to be a great fit for you,” said Director of Guest Services Melanie Evans. Tunxis Community College marine biology student Kayla Boyce, who applied for a job Thursday, is hoping it is. “It’s great to know that they do have my back, and I can definitely come here for a job, and I’d be supported through what I’d love to do down the road,” Boyce said. Mystic Aquarium will host another career fair for those seasonal roles on Saturday, March 23 from 10 a.m. to 2 p.m. at the aquarium.